Diploma in Civil Engineering from recognized Technical Board / Institute with minimum 70% marks for General / OBC (NCL) / SC / ST candidates. Qualification of B.E / B. Tech / B. Sc (Eng.) in Civil Discipline with 65% marks would not be a bar. Two-year full time Post Graduate Degree/ Post Graduate Diploma / MBA in Human Resource/ Personnel Management/ Industrial Relation/ MSW or equivalent from recognized Institute with not less than 55% marks for General/OBC(NCL)/SC/ST category candidates. Part-I consists of Technical/Professional Knowledge Test with 120 questions having specific questions from respective discipline. Part-II consists of Aptitude Test with 50 questions on vocabulary, verbal comprehension, quantitative aptitude, reasoning ability, data sufficiency & interpretation, numerical ability etc. 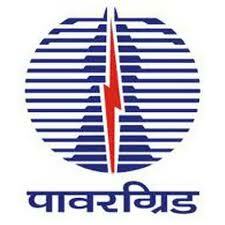 Eligible candidates should apply only through online registration system of POWERGRID. To apply, logon to https://www.powergridindia.com → Career Section → Job Opportunities → Regional Openings: WR-II Recruitment →Candidate Log-In Section. No other means/ mode of application shall be accepted. Valid Self E-mail ID and Mobile No. Information regarding this recruitment process shall be made available in the career section of POWERGRID website: www.powergridindia.com and no separate communication shall be made. Candidates must remain in constant touch with website www.powergridindia.com for information regarding date of written test, downloading of admit card, result of written test, medical standards etc.